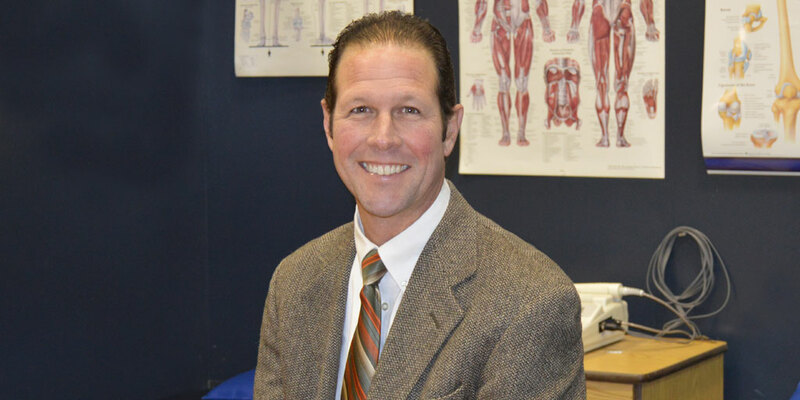 Bryon McAllister is the associate athletic director for sports medicine and head athletic trainer at Cazenovia College. On any given morning, you will find McAllister reading injury reports, importing them into a computer system, writing referrals for athletes to the College's team physician, and providing rehab. He is the go-to guy for sport-related injuries for student-athletes. McAllister takes care of all the bruises, sprains, ligament tears, and provides diagnosis and rehabilitation for student-athletes. One thing McAllister likes about his job is watching student-athletes mature. He explains, "They come in and a lot of the time they are shy and immature. By the time they are juniors and seniors, they are completely different people." When McAllister is not helping heal student-athletes he can be found boating, snowmobiling, or fishing with his three children. He also is a volunteer coach for Midstate Youth Hockey, and in the past was the coach of the club hockey team at Cazenovia College. When McAllister is not on the water or coaching, he is helping his children learn and grow, along with playing with their yellow lab named Bella. Since joining Cazenovia College, McAllister has lead the efforts to improve and expand the training facilities, including the addition of whirlpools and a larger training room. McAllister shares, "I am really proud of what I have done here." While in high school, McAllister had considered going to law school. A bad shoulder injury during his senior year lead him to rehab with an athletic trainer, and inspired him to focus his studies and career in sports medicine. McAllister enjoys working at Cazenovia College saying, "It is a nice small, close knit community." He also shares how rewarding it is to see how much his athletes and alumni have grown while playing for Cazenovia College.